How can the art of opera relate to you? Maybe your experience has been dressing up nicely to attend the Met in New York, or seeing an opera at Milan’s La Scala. Maybe it seems like something foreign and exclusive to the wealthy, or simply old-fashioned and too difficult to understand. 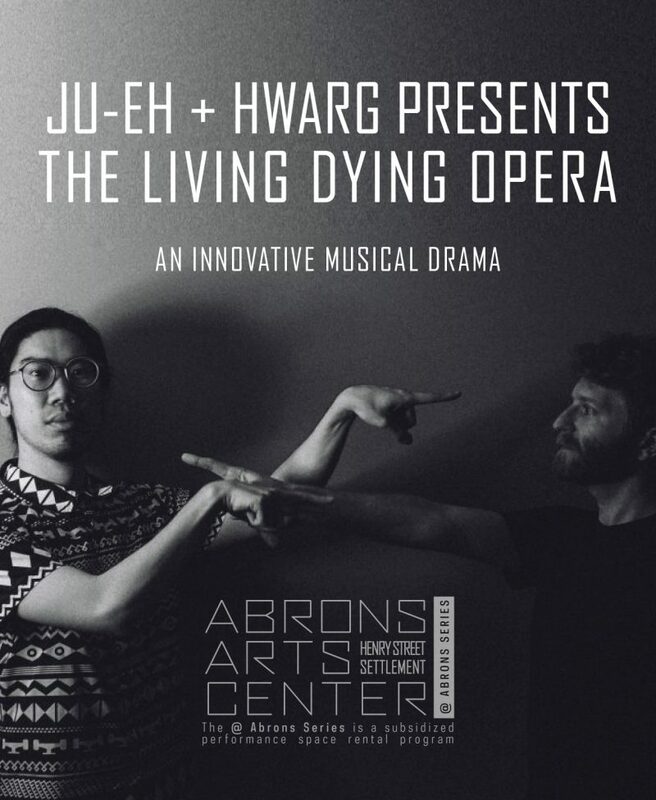 Voice artist Ju-eh and composer Hwarg present a brand-new work with powerful singing and delicate electronics that makes the art of opera directly relatable to your emotions and experiences: The Living Dying Opera. In our fast-paced, technologically saturated world, we are surrounded by ‘micro-dilemmas’: I am in the subway and someone next to me is so smelly! Should I stay, or get off the train? My alarm rings and rings and I snooze and snooze; should I wake up, or sleep for 2 more minutes? I have had 9 cups of coffee already; should I have the 10th to make it an even number? The fundamentals of opera are drama and bel canto (beautiful singing). Ju-eh, who has studied opera for over a decade, dramatizes his personal dilemmas through voice. Hwarg, an expert in electronics and sonic arts, creates an immersive and intriguing sound world. As historical opera speaks for the people of its time, Ju-eh+Hwarg present a theatrical musical drama that speaks for now, investigating space, memory, and personal identity. While their work is layered and complex, it is also easily accessible to those without musical training. The Living Dying Opera’s presentation at The Abrons Arts Center is made possible by The New York Chinese Culture Salon.